KidsFEST - A creative afternoon of great food and activities for all ages! 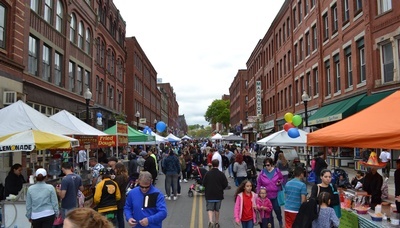 Located in Downtown Haverhill the event will include a full day of live music, local theater, dance performances, and family-friendly entertainment. There will be lots of fun and interactive activities including face painting, sand art, martial arts and much more! To learn more about the event please visit www.haverhillchamber.com or call (978) 373-5663.